Many windows user don't want work with Microsoft live id on windows 10, it is very easy to switch from Microsoft account to Local Account! 1.) ... In Windows 10 you can change or modify the account type at any time! 2.) ... Other solutions to quickly create one or more Windows 10 local user account! See also: ► ... auto login on windows 10 without password! ► Enable secure login on Windows 10! 1.) In Windows 10 you can change or modify the account type at any time! in Windows-10 Accounts settings click the Text "Disconnect my Microsoft account"
(Image-1) Switch from live id to local account on Windows-10! All users of Windows 10 know the two types of accounts that you work with in the Windows environment. The so-called Local Windows 10 user account, which is comparable to the old Windows 7 operating system. The second account is the Microsoft account in this case, the registry has to be made on the website of MS. With this account, all settings are periodically stored and synchronized on the server. If you are against Microsoft retaining all of your account information, or vice versa, in Windows 10 you can change or change the account type at any time. 2.) Other solutions to quickly create a Windows 10 account! Creating a new account from the command line is the fastest way to add more users on Windows 10, but it also requires administrative rights. But it is very worthwhile if you want to create multiple user accounts on the fly. Without a lot of queries through MS Windows 10. I have described this very nicely and even as an inexperienced Windows user you can profit from this when it comes to quickly creating Local Windows 10 user accounts. See ► ... In Windows 10 Create New Guest Account (also suitable for Windows 10 Home) ! Here is the short explanation: Please start ► ... the command prompt in Admin Mode! 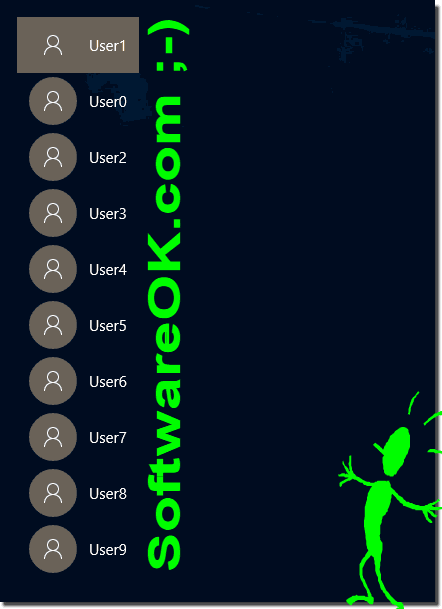 Here in the example 10 user accounts are created, because Windows 10 creates this as a default user when creating a new user, this must be added to the Windows 10 Admin group if necessary! To check all the fun: Windows + L keyboard shortcut (... see Image-3) in less than a minute! or use the command: control /name Microsoft.UserAccounts ! Creating a new account is sometimes quicker via the command line and makes more sense than to click through windows and buttons in Windows 10. 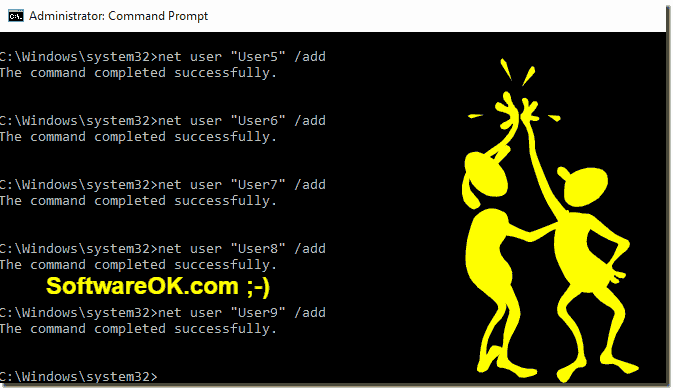 (Image-2) Fastest Way to create Local User Accounts on Windows-10! 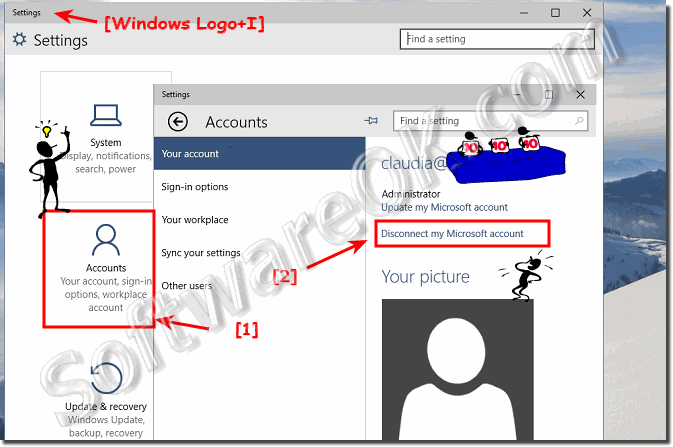 (Image-3) Windows 10, 10 User Account without live id! In terms of data protection and personal data, many users are skeptical after it has increased in the past to misuse the data by other large companies. Although currently no case is known by Microsoft, the Windows users are very cautious, just because of the apps that have access to data and other hardware on the PC, here is a simple solution as an example to work with Windows accounts without Microsoft login! Windows-10 - FAQ-20: How to login to windows 10 without live id (local account)?